This is a chance for you to tell me about yourself, and an opportunity to work out if this is the right setting for you at this time. If you would like to proceed, we will arrange a time to meet regularly, at the same time and on the same day each week, for 50 minutes. 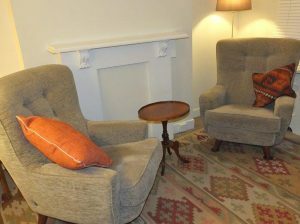 Sessions take place in dedicated therapy rooms, Psychotherapy Consulting West London, in complete confidentiality. I have a limited number of places for people on reduced incomes; there may be a waiting list for these sessions.